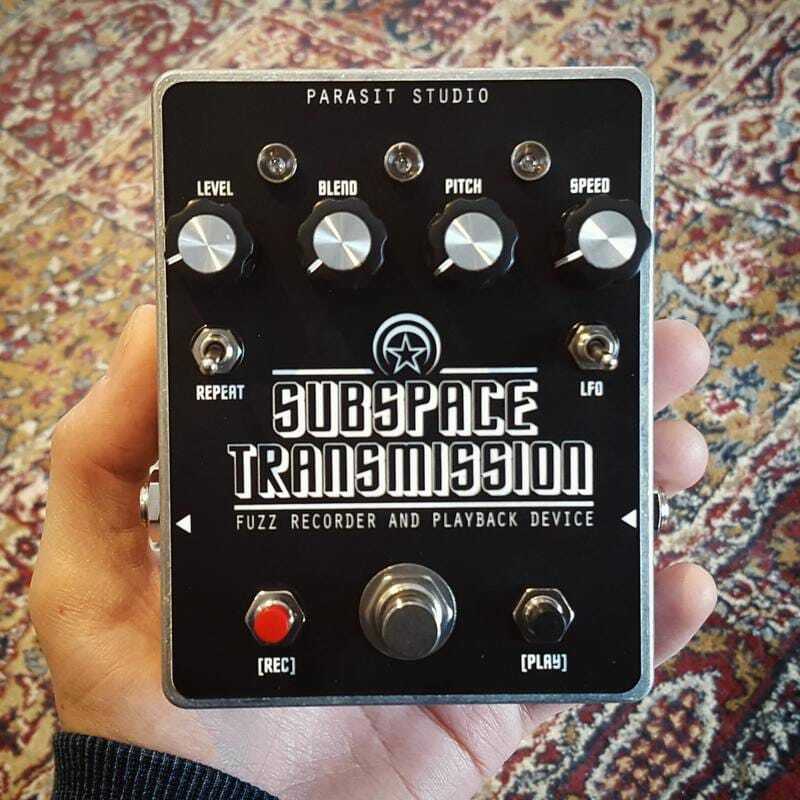 Subspace Transmission is a fuzz with a recording and playback feature based on the ISD1820 voice recording chip. It can record up to 20 seconds and the playback can be repeated and pitched up or down. It's perfect for playing along to your riffs and coming up with new ideas, or why not make a short repeating loop and pitch it down for some sick drone sounds!